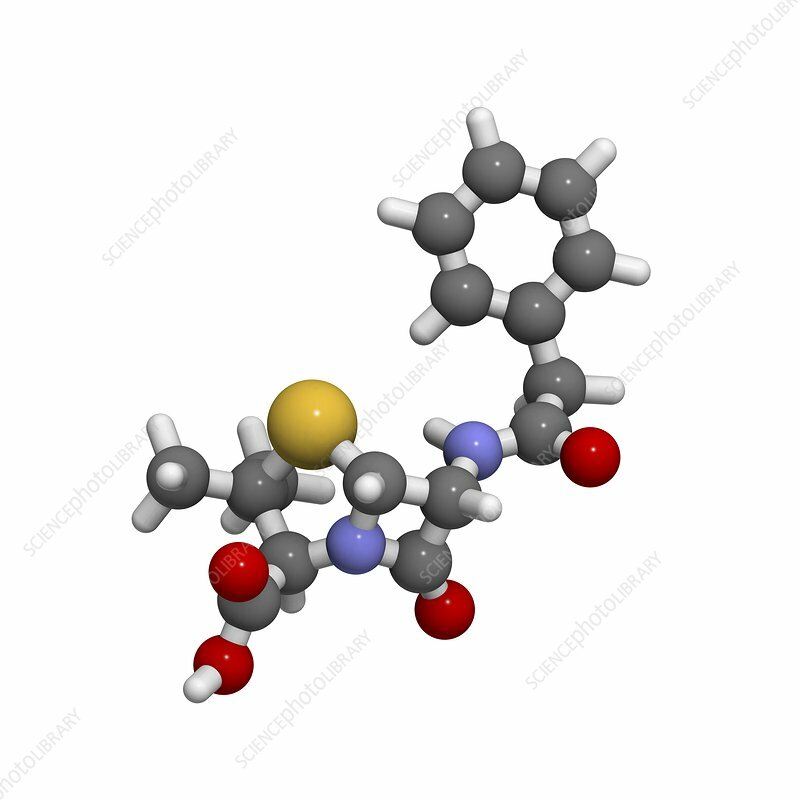 Penicillin G, molecular model. Beta-lactam antibiotic used in the treatment of bacterial infections. Atoms are represented as spheres and are colour-coded: hydrogen (white), carbon (grey), oxygen (red), nitrogen (blue) and sulphur (yellow).